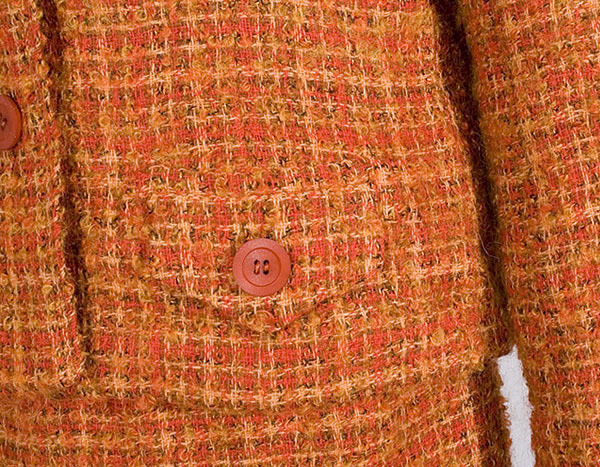 This wonderful wool tweed suit is back in style today. 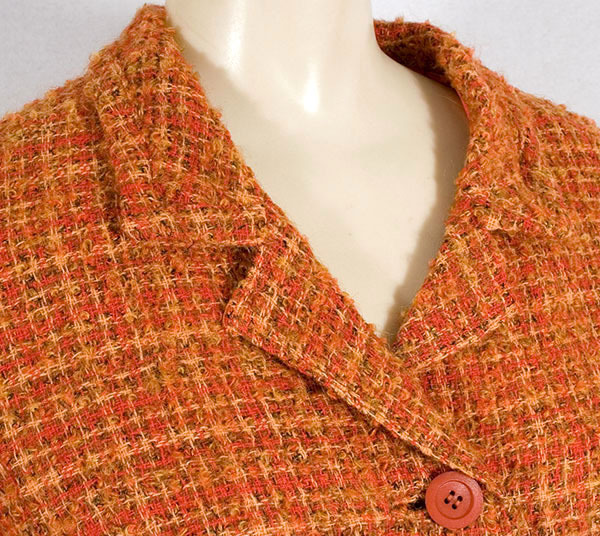 The suit is fashioned from virgin wool tweed in luscious warm shades of persimmon, peach, and olive. Let the glow of the color warm you on a dreary winter day. The gently shaped jacket closes in front with self-bound buttonholes—a feature of fine tailoring that rarely appears on modern garments. The straight skirt closes on the side with a nylon zipper. 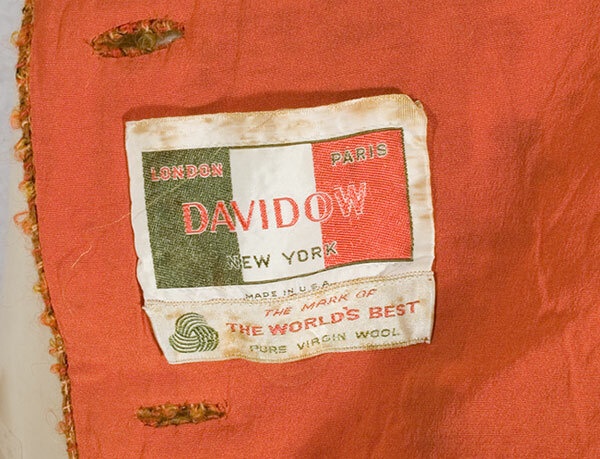 In addition to the Davidow label, there is a "Martha West" store label. The condition is very good. The outside is perfect; the jacket lining has a water stain that won't show when you wear it. 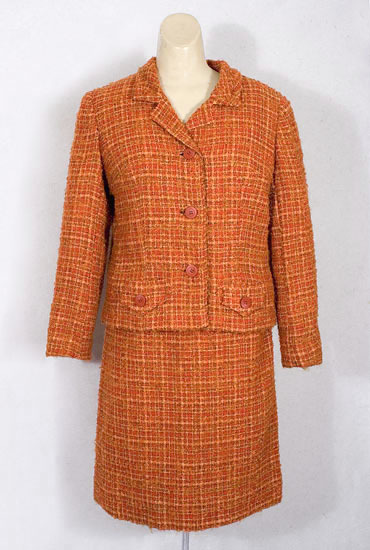 The jacket measures: 40" bust, 36" waist, 38" hem circumference, 22" sleeve length, 16 1/2" from sleeve cap to sleeve cap, and 21" from the shoulder to the hem. The skirt measures: 28" waist, 38" hip, and 23" length.